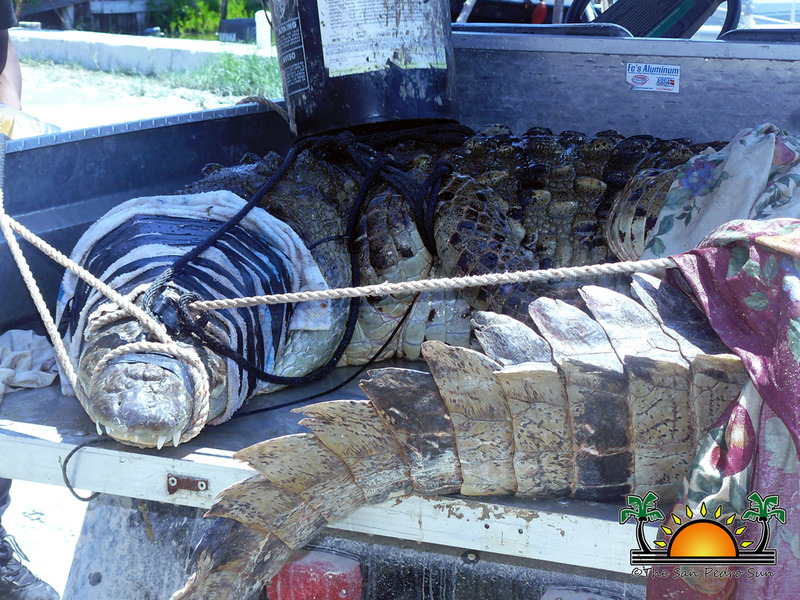 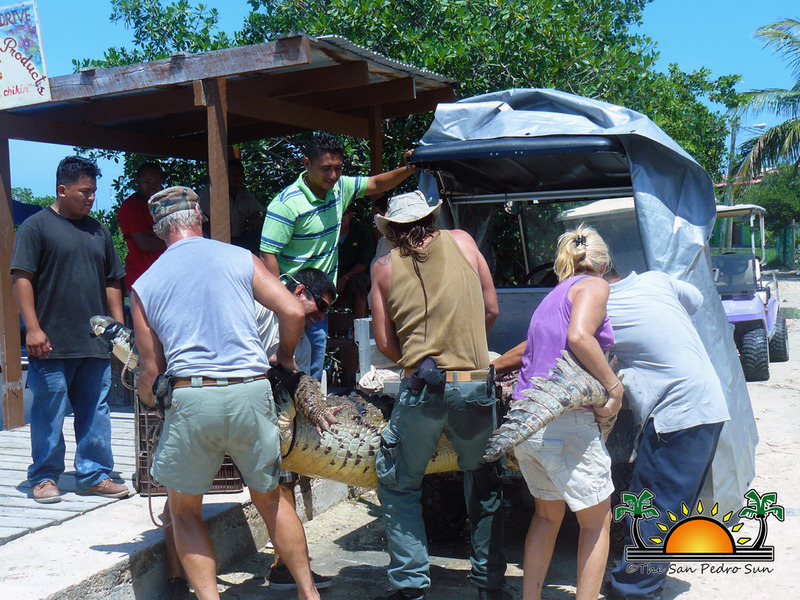 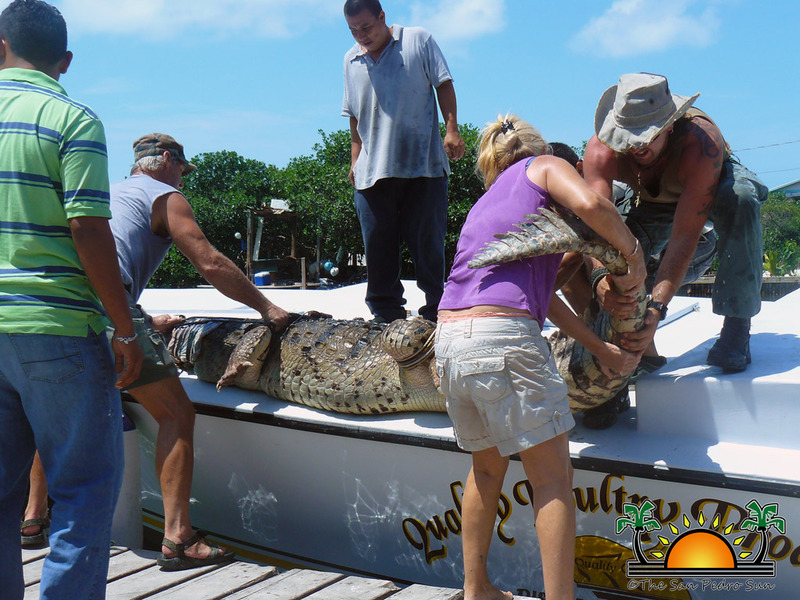 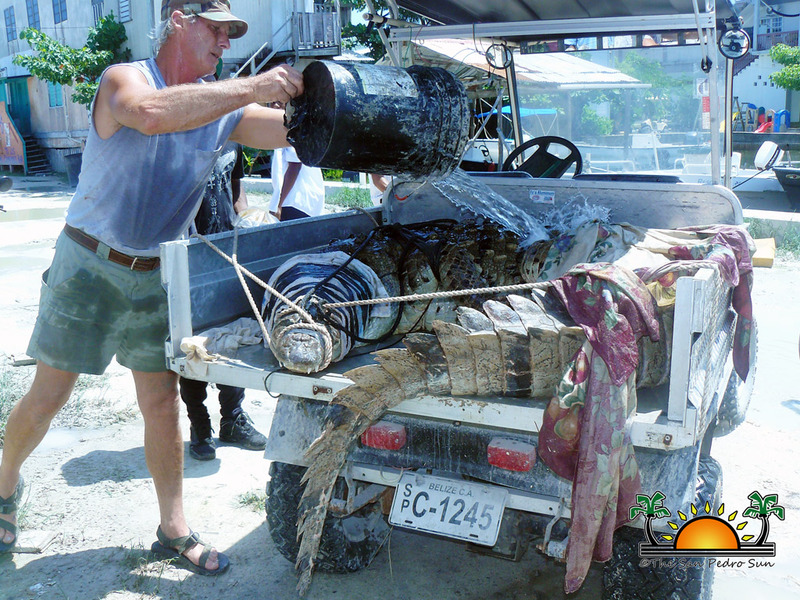 On the morning of September 22nd the American Crocodile Education Sanctuary (ACES) team finally caught the 11-foot problematic crocodile in San Juan, Ambergris Caye. 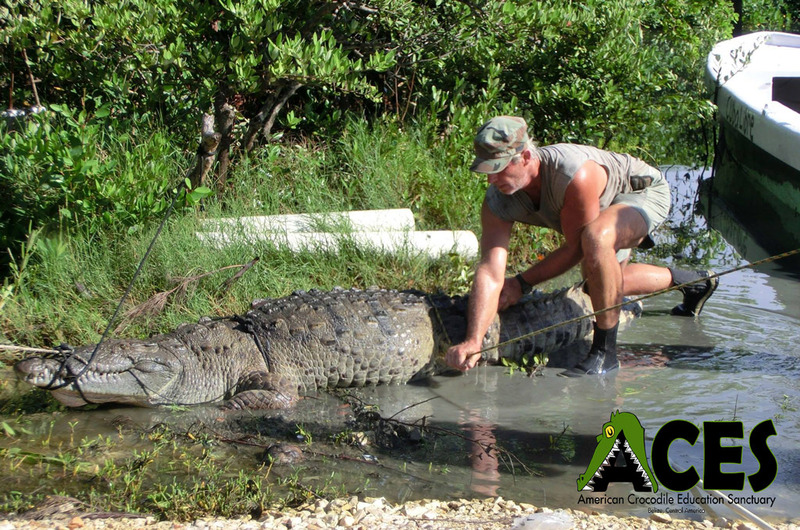 Calls came to ACES about the problem crocodile from people south of the area who were missing pets and from a member of the San Pedro Town Council who saw the crocodile come out dangerously close to children at play. 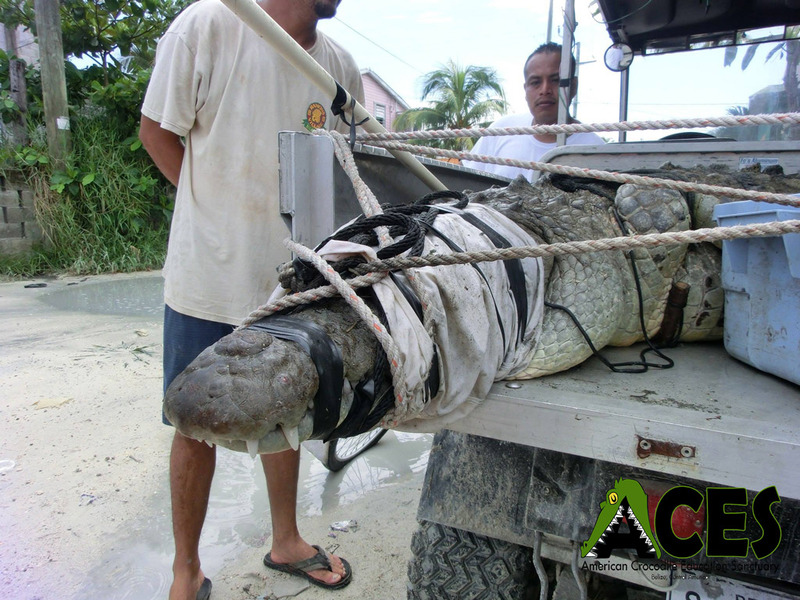 Due to the lack of holding pens on the island, the captured crocodile spent the evening in a cool apartment under the bed. 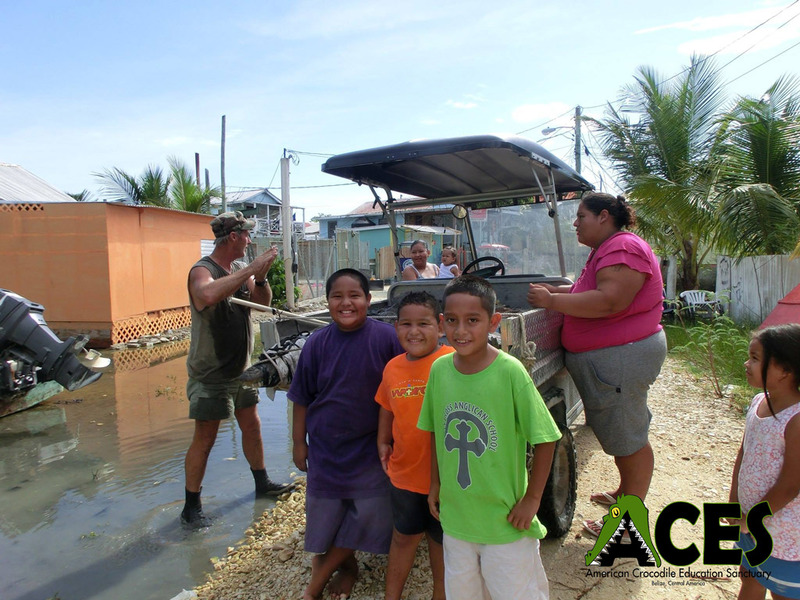 The next afternoon, September 23rd members of the Boca Del Rio community helped ACES load the animal aboard the Quality Poultry Products shipping vessel. 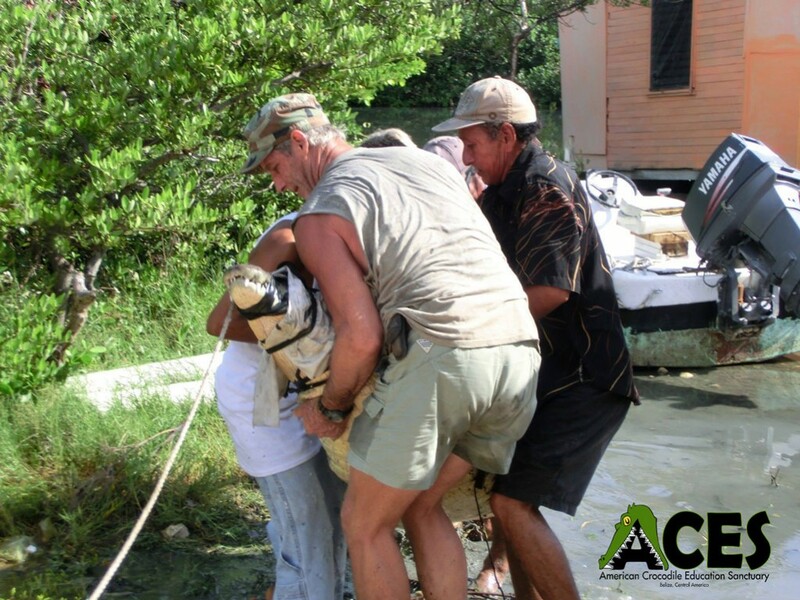 Donating the cost of transporting this amazing animal to Belize City is greatly appreciated and ACES commends Quality Poultry, their personal and their generosity in helping to save Belize's wildlife. 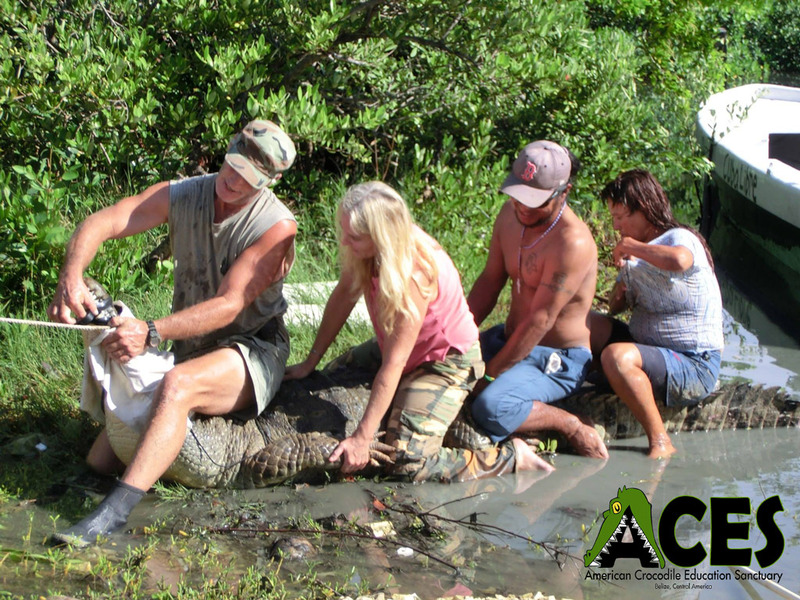 The American crocodile, named Price by the residents of San Juan (because he was caught the morning after Independence Day celebrations), will go into a secure habitat at the ACES Sanctuary at the Caribbean Shrimp Farm in Ladyville. 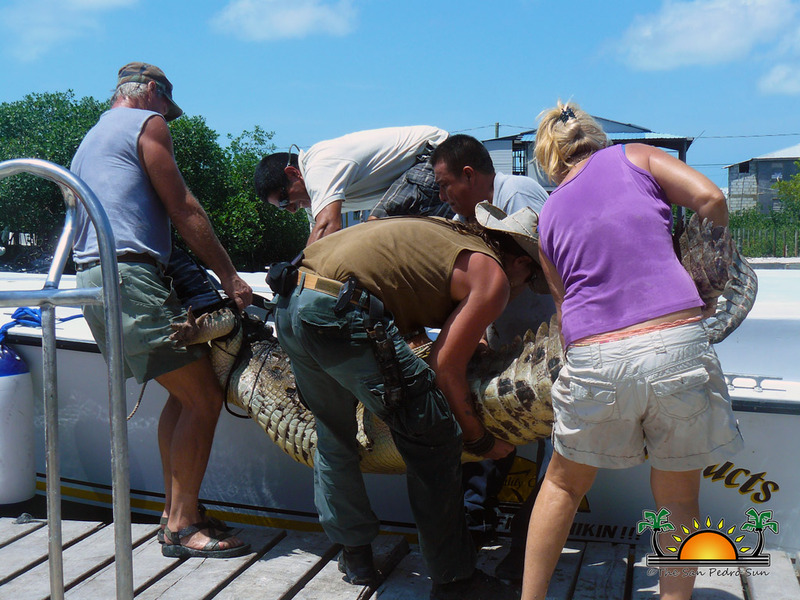 The habitat is the largest natural, secured, croc habitat in Belize and was donated by The Brigitte Bardot Foundation, in France. 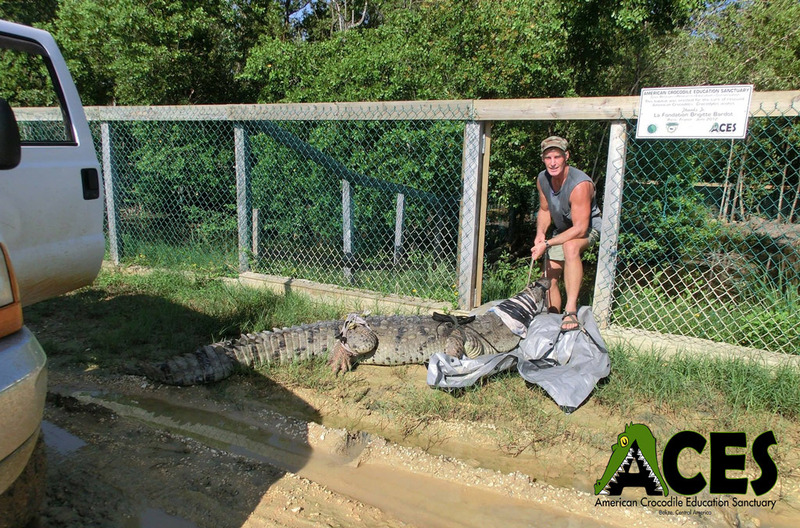 ACES Croc Wrangler Vince Rose met the boat at the Quality Poultry dock in the city and transported the animal by truck to the sanctuary. 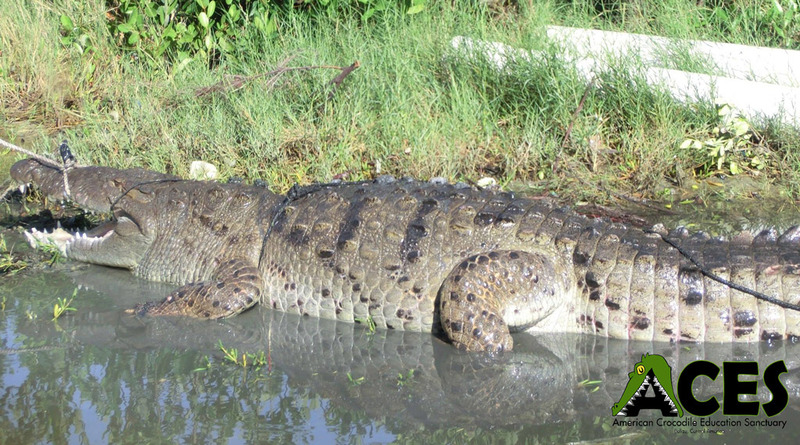 Schools wishing to schedule a visit to the sanctuary later this year for a two-hour educational presentation on crocodiles and how to safely live with them can e-mail Cherie at [email protected] Anyone wishing to see how they can help please visit AmericanCrocodileSanctuary.org. 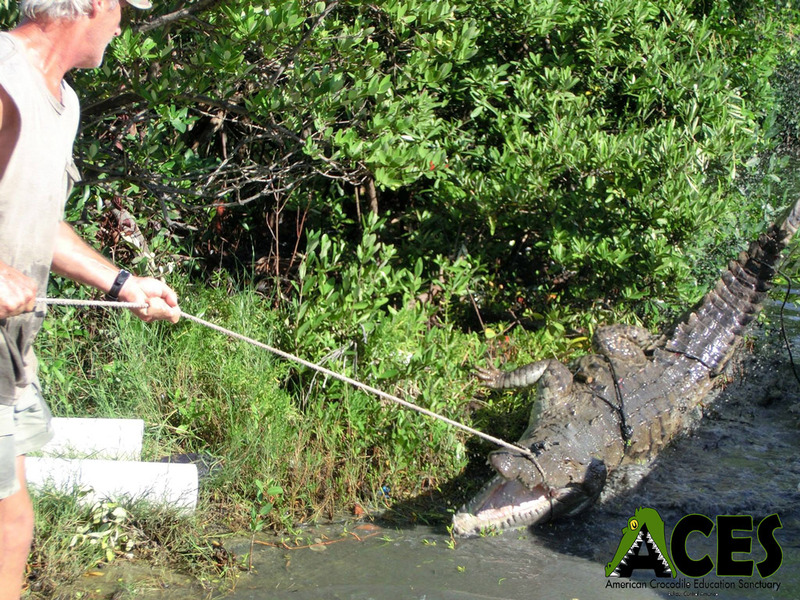 Under the permitted care of ACES, the crocodile 'Price' remains the property of the Belize Forest Department. 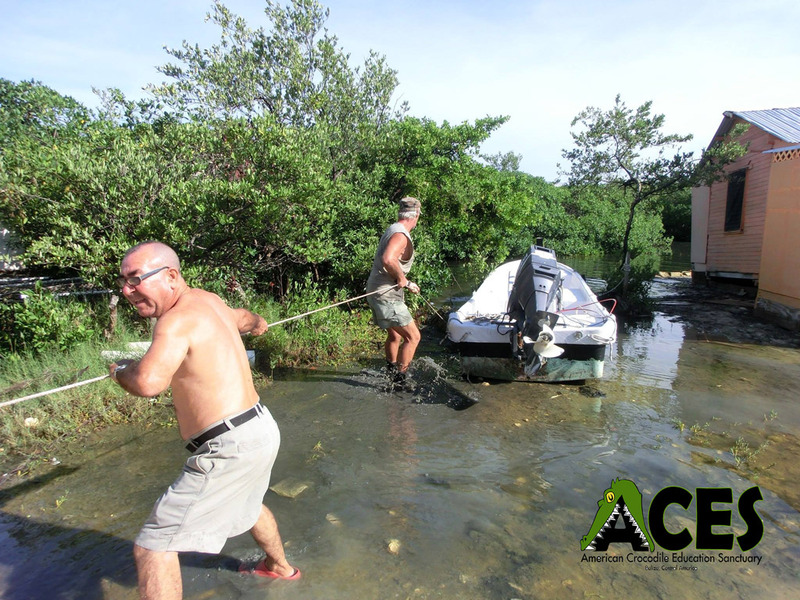 ACES thanks everyone who helped, including James Ernesto Compos, Rene Chaio, Marciana Compos, and Cornelio Teos who helped catch Price. 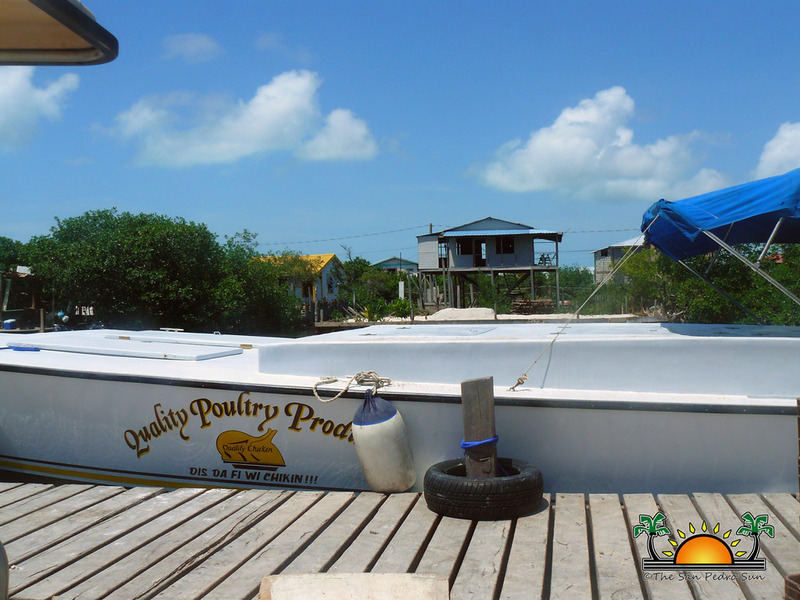 Also Dawn Arthurs, Emmanuel Arana, Big Joe , Osmand and of course Quality Poultry. 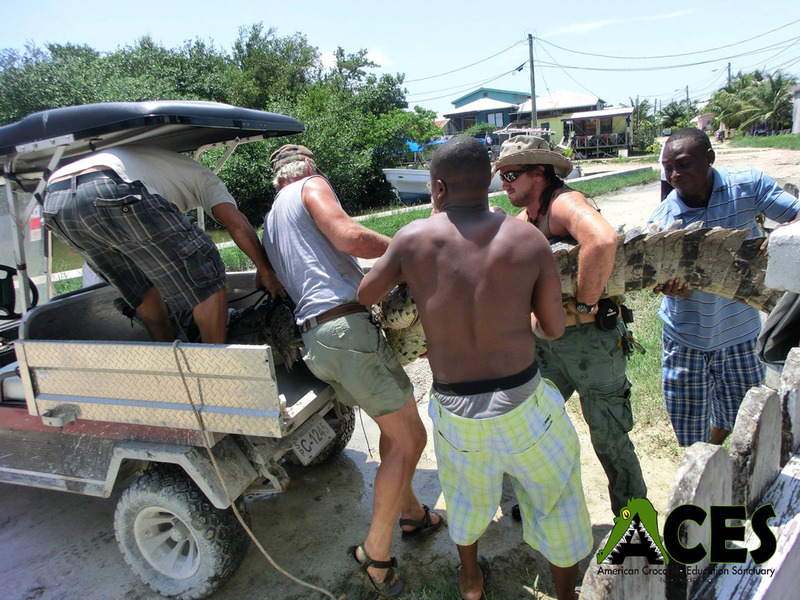 Anyone we forgot please forgive the oversight, your help is very appreciated!